Butte County citizens are forced to flee form Oroville Dam area. They live below the tallest dam of the United States, in Northern California. On Sunday, after a spillway appeared on the dam, a massive evacuation began . 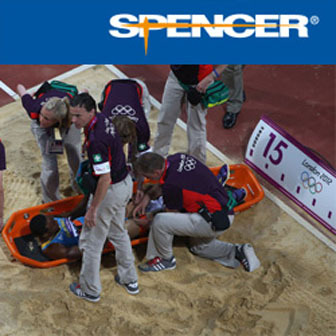 There is a risk of imminent collapse. OROVILLE, California – Authorities ordered the evacuation of more than 100,000 residents in several northern California towns Sunday evening, as a rapidly eroding section of a dam appeared on the verge of collapse. “Immediate evacuation from the low levels of Oroville and areas downstream is ordered,” the Butte County sheriff’s office posted on Facebook. The evacuation warning was “NOT a drill,” the sheriff’s office added. 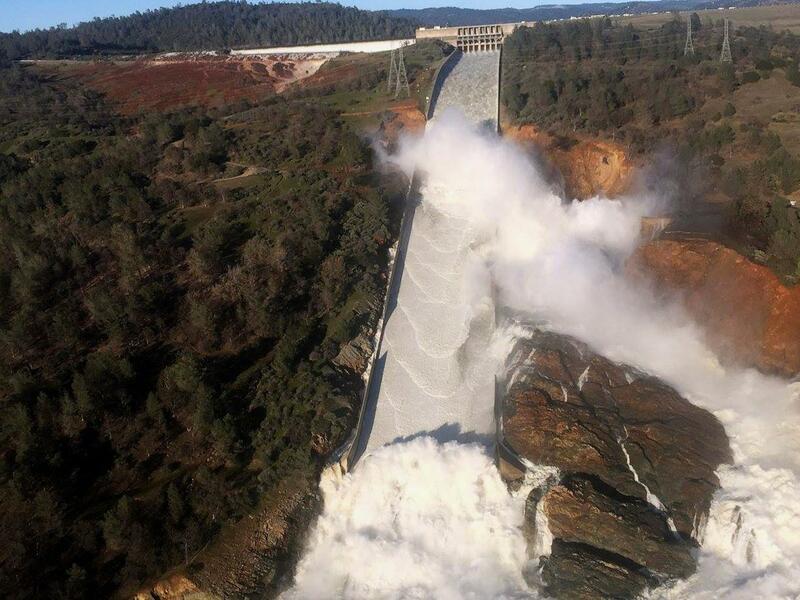 Anticipating the failure of the dam’s auxiliary spillway, officials in the northern California town frantically attempted to drain water from the main spillway, at a clip of 100,000 cubic feet per second, according to the Sacramento Bee. Helicopters dropped sand and rocks into a sinkhole in the spillway to stem the erosion. “It’s uncontrolled. It’s uncontrolled,” Department of Water Resources spokesman Chris Orrock said, when asked how much water could be released should the spillway fail. Based on information received from the California Department of Water Resources (DWR) and the incident command team managing Lake Oroville, counties and cities near Lake Oroville and the surrounding area issued evacuation orders for residents. 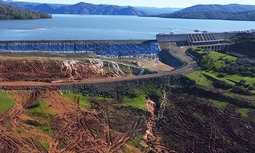 The concern is that erosion at the head of the auxiliary spillway threatens to undermine the concrete weir and allow large, uncontrolled releases of water from Lake Oroville. Those potential flows could exceed the capacity of downstream channels. In order to avert more erosion at the top of the auxiliary spillway, DWR doubled the flow down its main spillway from 55,000 cubic feet per second (cfs) to 100,000 cfs. The next several hours will be crucial in determining whether the concrete structure at the head of the auxiliary spillway remains intact and prevents larger, uncontrolled flows. Flow over the auxiliary spillway weir began Saturday morning and has slowed considerably. 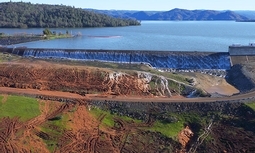 DWR officials expect that flow to stop entirely soon, which will reduce the erosion on the downstream side of the structure. Oroville Dam itself is sound and is a separate structure from the auxiliary spillway.